While we were having breakfast at the Hillside B&B, the couple sitting next to us suggested we visit the Applecross Peninsula. 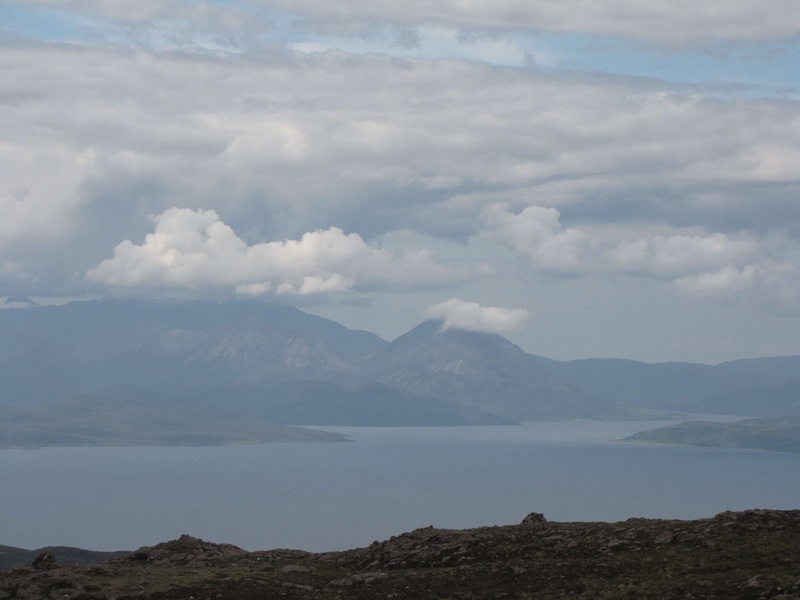 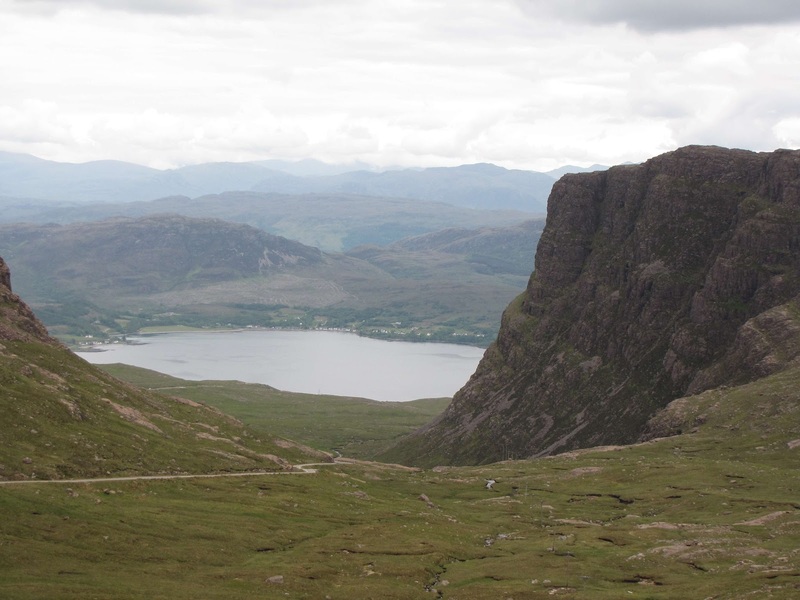 So after a detailed conversation, our day was planned and we were off to Applecross in the Northwest Highlands. 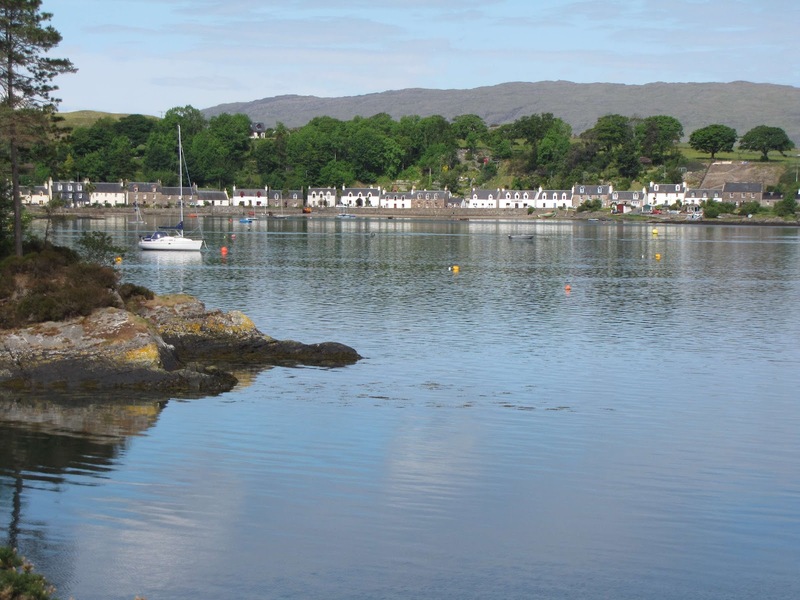 Plockton is a picturesque settlement on the shores of Loch Carron. 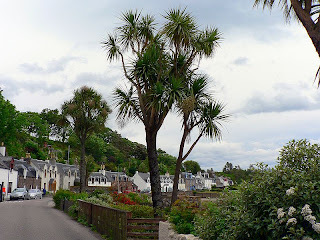 It faces east, away from the prevailing winds, which together with the North Atlantic Drift gives it a mild climate allowing the Cordyline Australis palm or cabbage tree to prosper. 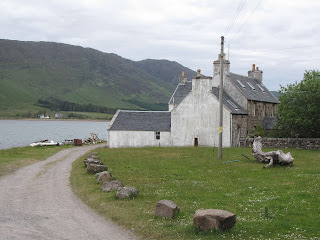 Most of the houses date from the 18th and 19th centuries. 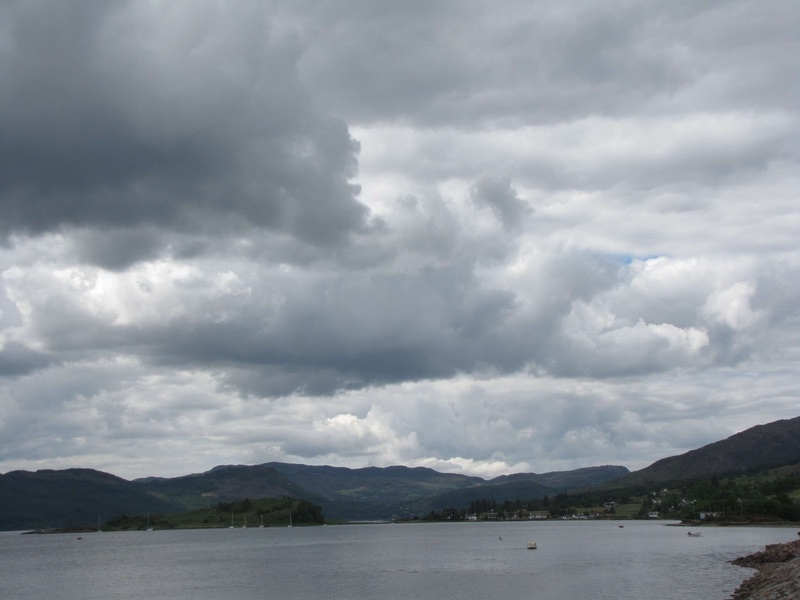 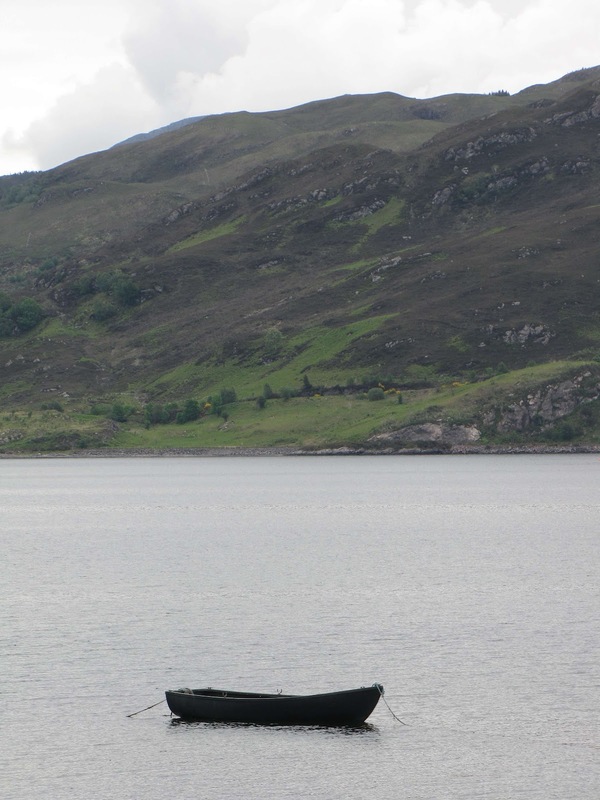 It was a planned community based on fishing in an attempt to stem the tide of emigration from the Highlands. The Church of Scotland in the village was designed by Thomas Telford. 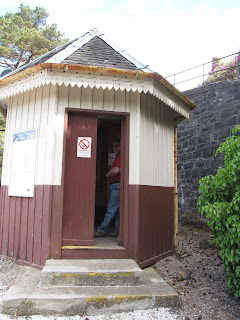 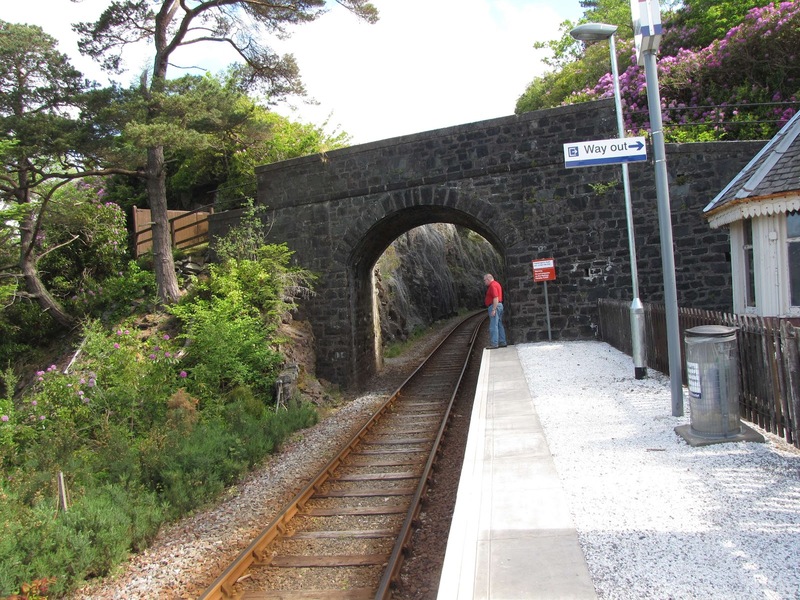 The village is served by the Plockton railway station. 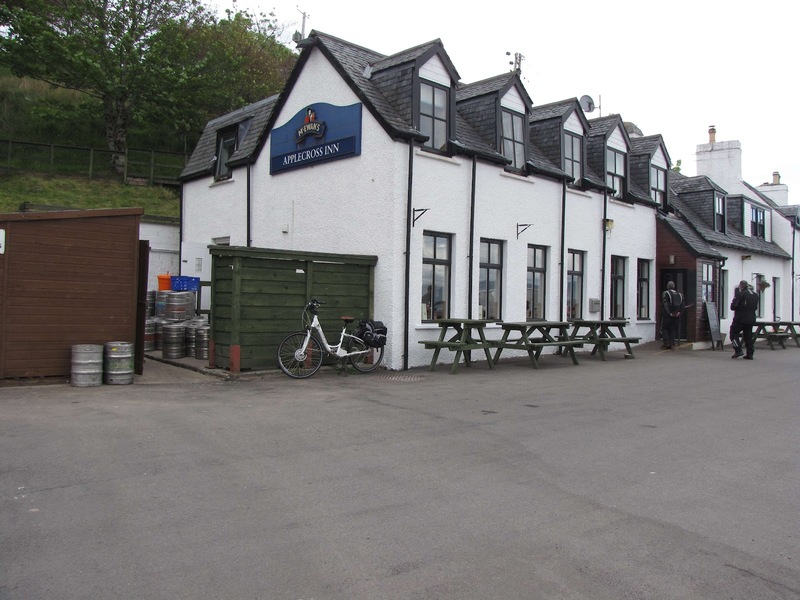 In 2003, the Plockton Hotel and Plockton Inn managed to respectively win AA Pub of the Year and AA Seafood Pub of Year. 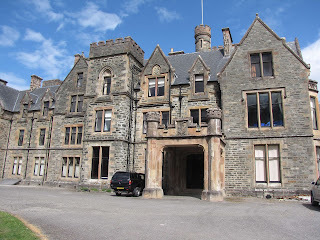 Nearby is Duncraig Castle, a 19th century stately home built by the Matheson family, who made their money in the opium trade. 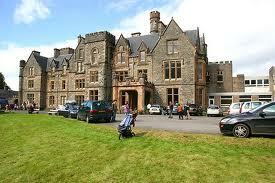 The Castle was built to entertain his friends and acquaintances on a grand scale. 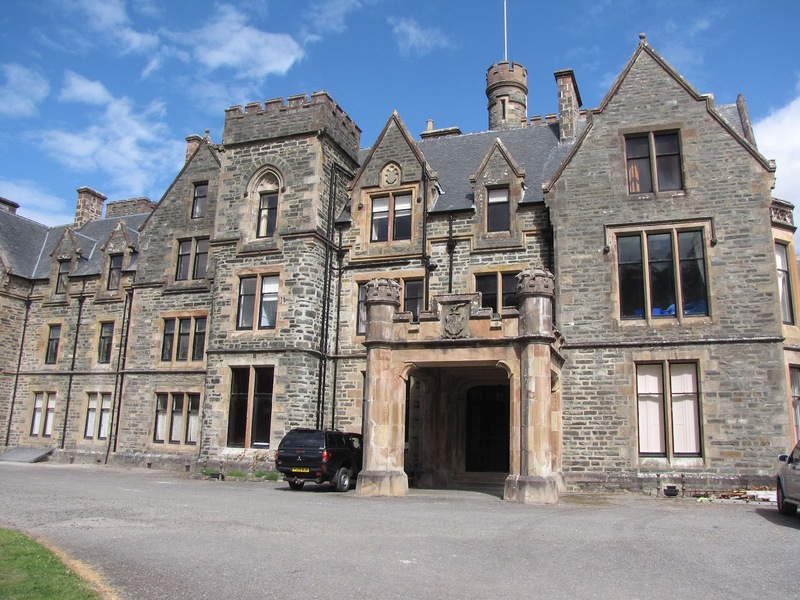 Matheson considered a railway station to be essential for the convenience of his numerous guests and arranged for the castle's own station to be built!The castle was derelict for many years, having previously been used as a hospital, catering college, and a base for film crews. 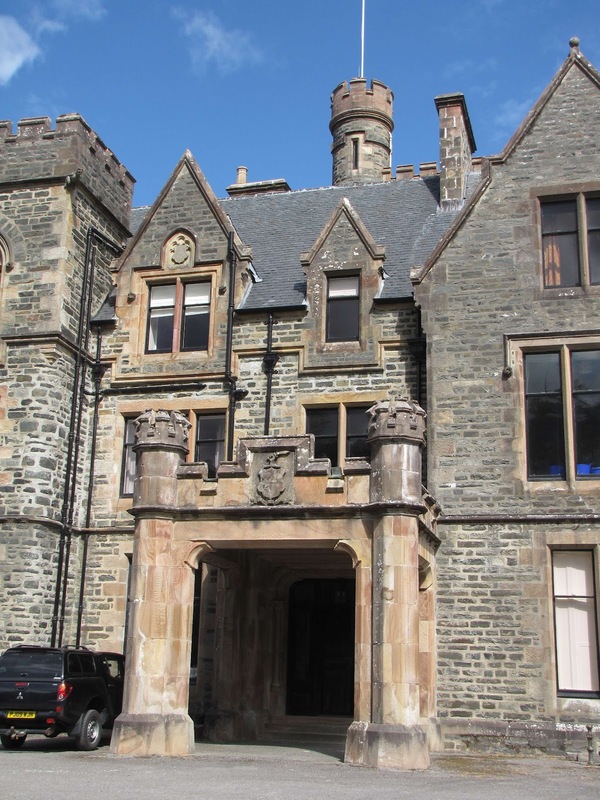 The castle was sold in 2009 to Suzanne Hazeldine and is being renovated as a guest house. A view of Plockton from Duncraig Castle. The journey to Applecross involved stopping in Lock Carron, an idealic village at the head of the bay, prior to starting our journey up the mountain. 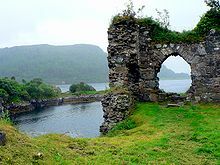 Strome Castle is a ruined castle on the shore of Loch Carron in Stromemore, 3.5 miles south-west of the village of Loch Carron. 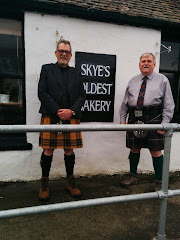 It was originally built by the Macdonald Earls of Ross. Later in 1472 the castle was owned by the Clan MacDonald of Lochalsh. 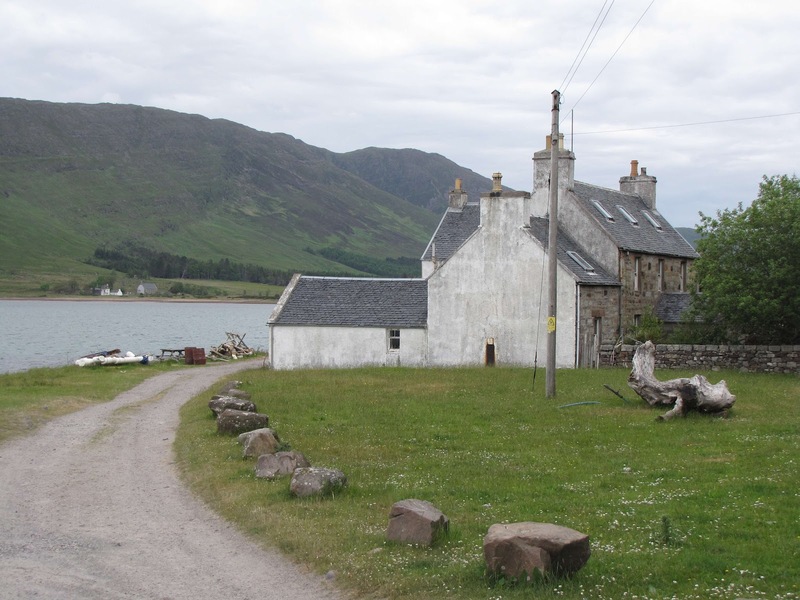 In 1539 King James V of Scotland granted the castle to the Clan MacDonnell of Glengarry. Later in 1602 the castle was besieged by Kenneth Mackenzie, chief of the Clan Mackenzie, assisted by their allies the Clan Matheson. After the MacDonalds surrendered it was demolished and blown up. 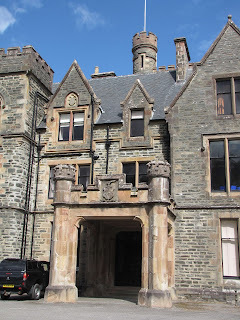 In 1939 the ruined Strome Castle was presented to the National Trust for Scotland. 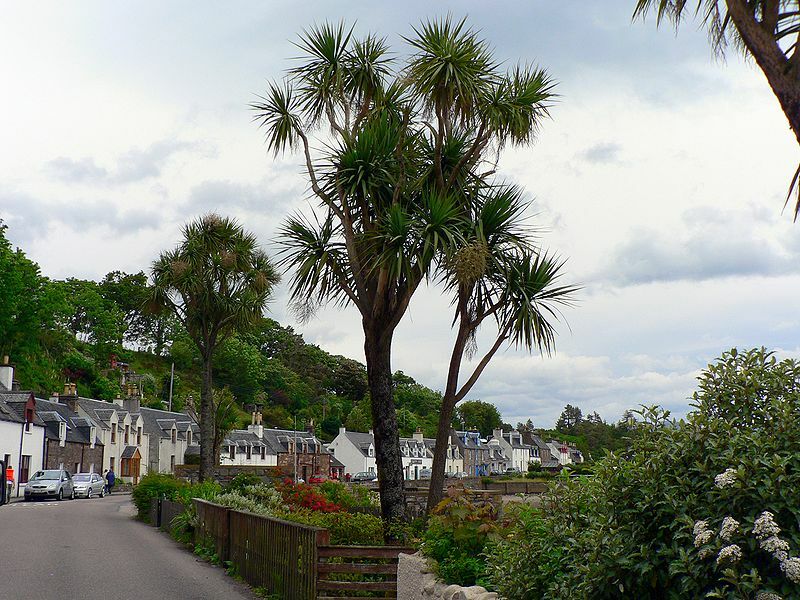 Today the castle comprises a courtyard and the remains of a square tower. 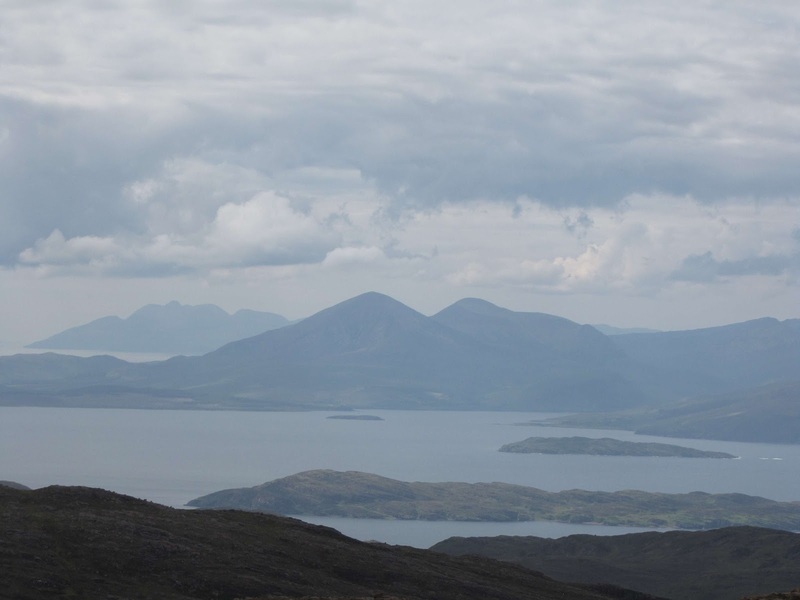 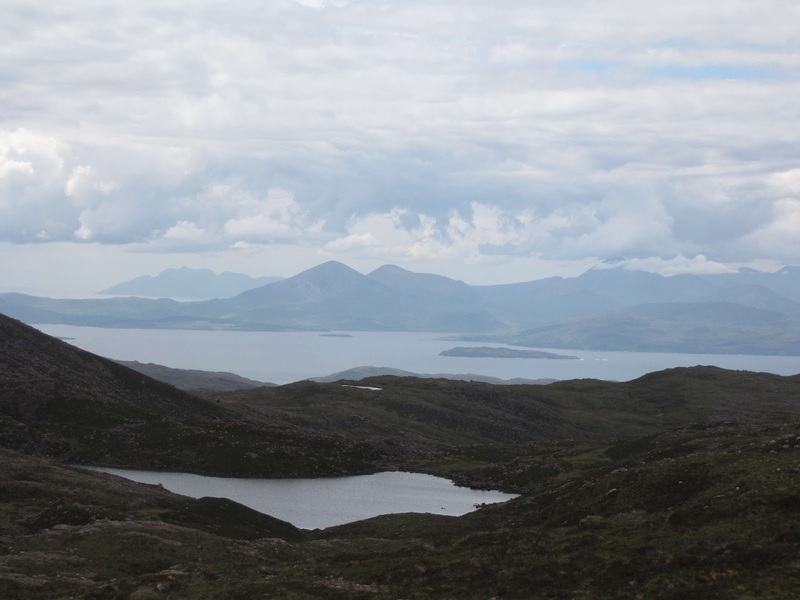 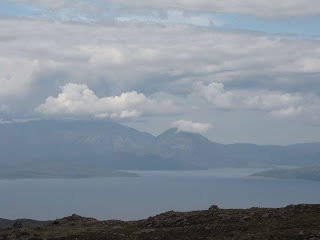 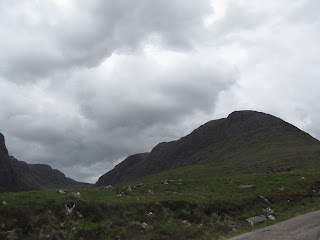 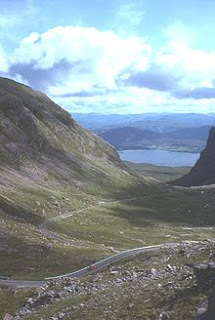 The trip to Applecross was an amazing journey on a single lane road, that’s single lane in both directions, across the top of mountains to a height of 4,000 feet and down the other side to the beautiful village of Applecross. 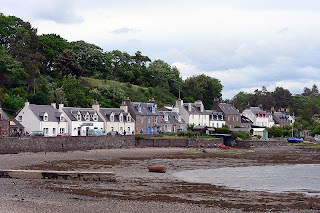 This row of houses which is often referred to as 'Applecross', and is marked as Applecross on some maps, is actually called 'Shore Street' and is referred to locally just as 'The Street'. 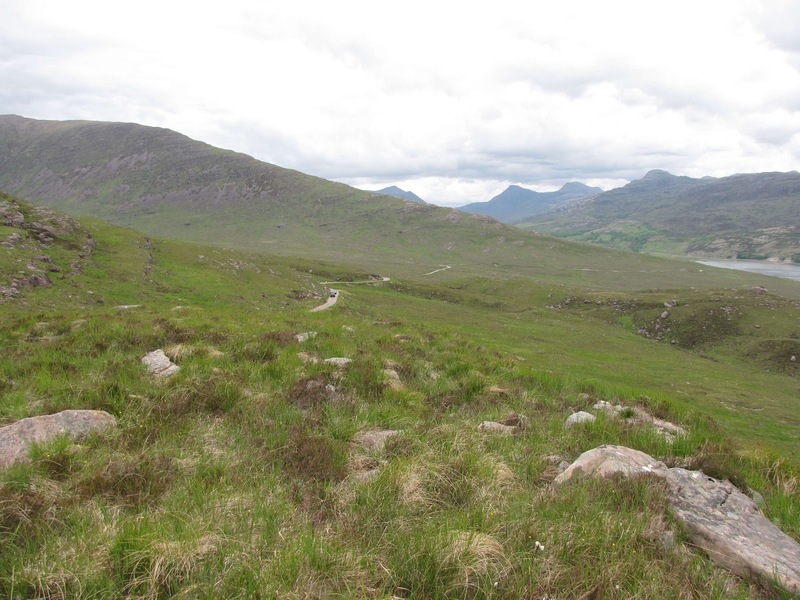 Bealach na Ba was until the mid 1970s the only road linking Applecross with the rest of the country. 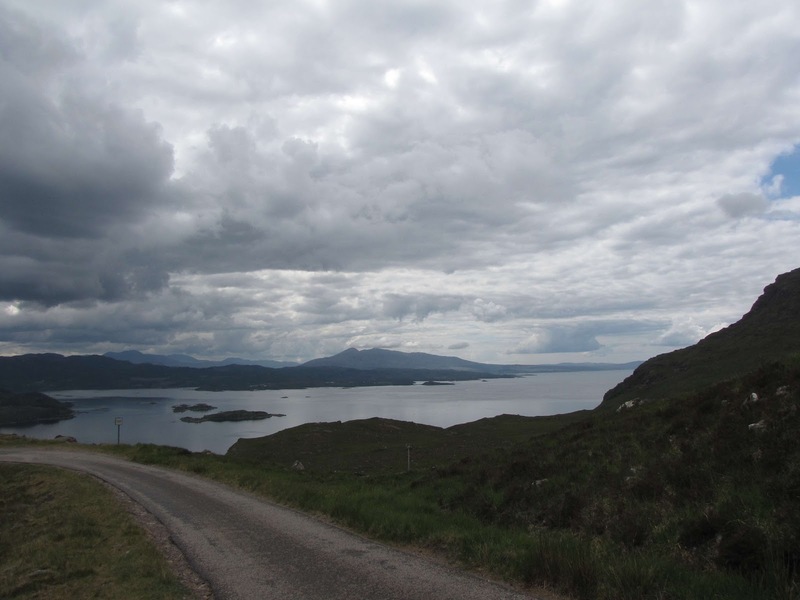 The single track, cliff hanging hairpin turns and white knuckle driving are not to be missed. 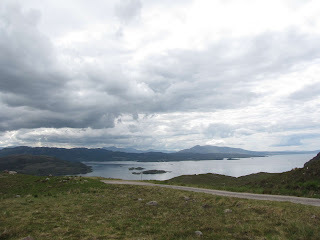 From there we drove the inner sound to Loch Torridon and on to Shieldaig for afternoon tea. We left to return the highway route back to Plockton and bought hand spun Angora wool from a sheep farmer along the road.